PRESQUE ISLE – Responding to a call for statewide Day of Service for Maine Citizens on January 5, four Aroostook County civic-minded organizations are encouraging people to give back in their communities with acts of kindness. The Maine Commission for Community Service is coordinating the day at the request of Governor-elect Janet Mills, who officially takes office earlier in the week. 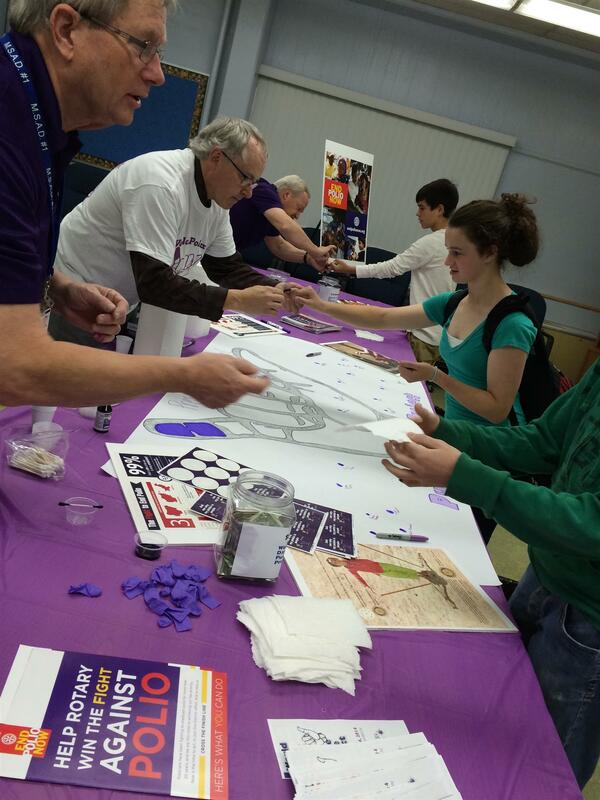 United Way of Aroostook, Aroostook County Action Program, Presque Isle Rotary and Presque Isle Kiwanis are hoping a Day of Service for Maine Citizens will cause people to be mindful of how their small acts of kindness can have big impacts, and also set the stage for an entire year of giving in 2019. Giving can take on many forms, but for this January 5, it’s the small things that count as far as Sherry Locke, Executive Director of United Way and past president of Presque Isle Kiwanis, is concerned. 71st Annual Auction Is Just Around the Corner! 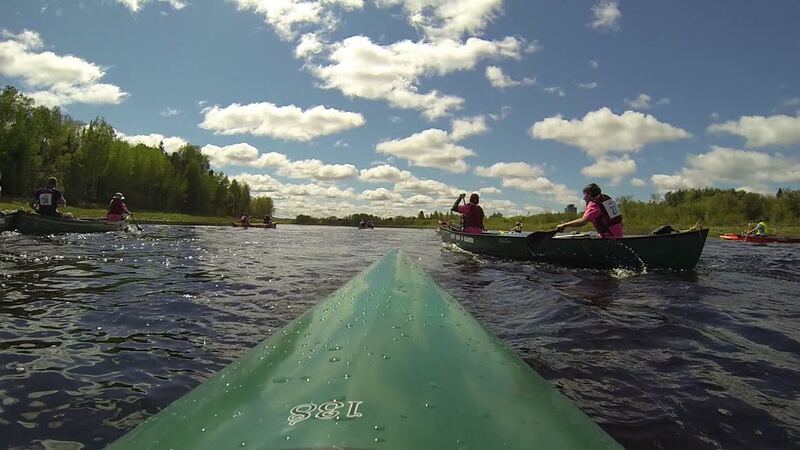 Aroostook County - A seven-decade tradition has taken a big leap into the 21st century. For the first time ever, the Presque Isle Rotary Club has taken part of its annual auction on-line. Nearly 500 items valued at more than $50,000, donated from businesses and organizations across Aroostook County and beyond, can now be viewed, and are open for bidding, on the 71st Annual Rotary Auction website at www.greggauctions.com. In addition to the on-line component, a live Auction broadcast is planned for Saturday, November 24, between 12:00 noon and 6:00 p.m. on WAGM-TV's Fox affiliate station (channel 12 for area Spectrum Cable subscribers) and will be simultaneously webcast on wagmtv.com. 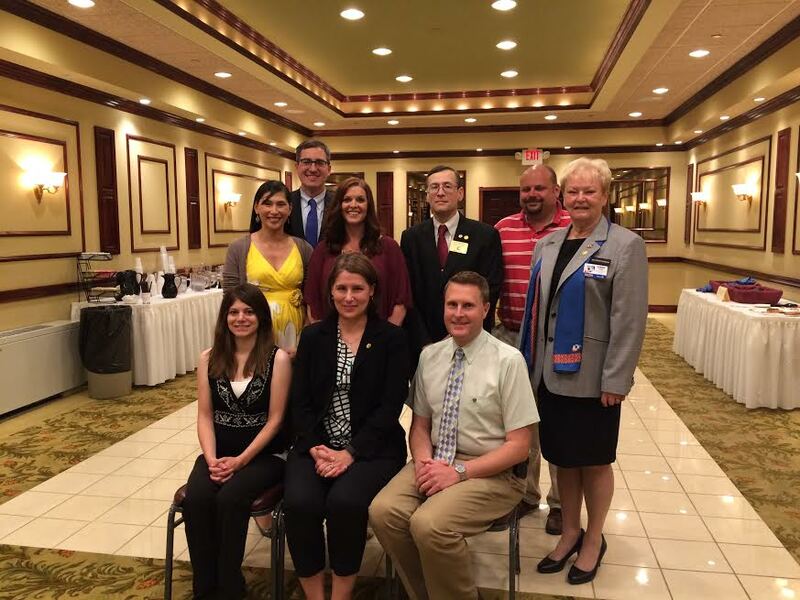 Members of the Presque Isle Rotary Club recently installed new Officers Board Members and Committee Chairs for the 2018-2019 Rotary year, which runs July 1, 2018 through June 30, 2019. Serving in leadership positions for the year are (seated, left to right): Matt Irwin, president nominee (2020-2021); Matthew Bouchard, assistant treasurer; Sue Brown, treasurer; Jason Parent, president (2018-2019); Clint Deschene, vice president/president-elect (2019-2020); Jan Lucas, secretary; and Nancy Allen, assistant secretary. Also serving in Rotary leadership are (standing, left to right): Rachel Rice, board member; Debbie Roark, board member/scholarship committee co-chair; Sarah Ennis, board member; Martin Puckett, board member; Ben Greenlaw, board member/sergeant-at-arms; Leigh Smith, board member; Ralph McPherson, Rotary Foundation committee chair; Brett Varnum mentoring committee co-chair; Kevin McCartney, service committee chair; and Karen Gonya, public relations committee chair. Missing from photo are: Mandy Pooler-Hall, immediate past president; Derik Smith, board member; Sharon Campbell, literacy committee chair; Gina LeBlanc-Eggert, membership committee chair; Steve St. Pierre, mentoring committee co-chair; Theresa Fowler, program committee chair; Scott Violette, scholarship committee co-chair; and Jordyn Madore, youth services committee chair. 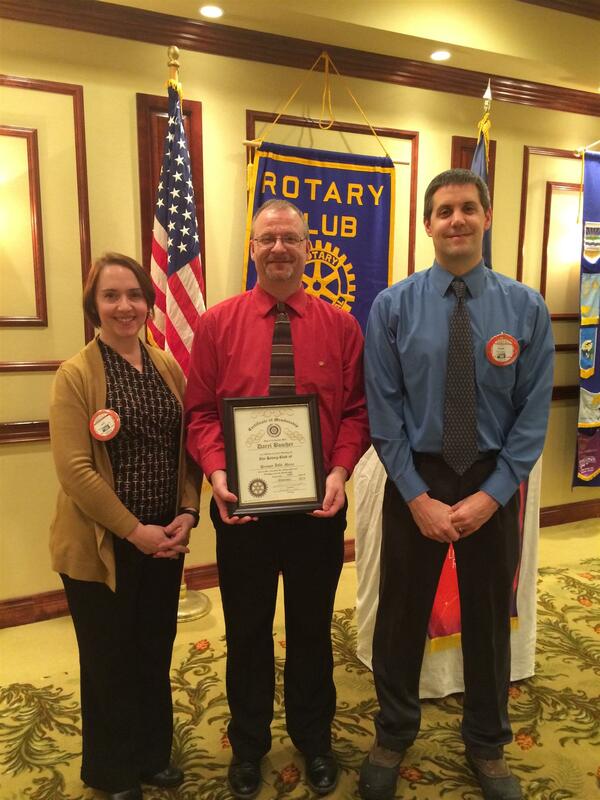 PI Rotary Club Inducts New Member! The Presque Isle Rotary Club is hosting a recognition evening on Thursday, May 3, at Northern Maine Community College to honor several community members and Rotarians who are being named Paul Harris Fellows. While McPherson, who is himself a Paul Harris Fellow, understands that sentiment, he is pleased to give these 10 individuals the recognition they deserve. Those being honored are: Scott Carlin, Joseph Clukey, William Guerrette, Gina LeBlanc-Eggert, Helen McConnell, Larry Shaw, Derik Smith and Stuart Wyckoff. Also being honored will be Joy Barresi Saucier, who was named a Paul Harris Fellow at a previous Rotary District Council meeting but will be recognized in her own community at this event. A special surprise presentation is also planned for an unnamed individual. The Paul Harris Fellow program recognizes individuals who contribute, or who have contributions made in their name, of $1,000 to The Rotary Foundation of Rotary International. The honor was established in 1957 to show appreciation for contributions that support our Annual Fund, PolioPlus, or an approved Foundation grant. The honor is named for Paul Harris, the Chicago attorney who founded Rotary in 1905 so professionals with diverse backgrounds could exchange ideas, form meaningful, lifelong friendships and give back to their communities. “We invited community members to join us as we celebrate these great people for all that they have done,” said McPherson. The event begins at 5:30 p.m. with hors d’oeuvres and a cash bar in the Akeley Student Center-Smith Wellness Center area of NMCC, followed by the presentation at 6:15 p.m. in the Edmunds Conference Center. The cost to attend is $20/person. To register, email ralph.mcpherson@maine.edu or call 207-521-4625. Planning for the 71st Annual Rotary Auction has begun! We are looking to team with local non profit organizations to help fund their projects that will improve the lives of others. In addition, we are excited to announce we will continue our collaboration with the Presque Isle Kiwanis Club to jointly support a larger Community Project. Applications for both regular auction proceed partners and Community Project Partners can be found to the right hand side of the homepage. The deadline for submitting an application is Friday, April 20, 2018. Please contact us for more information. The Presque Isle Rotary Auction is Now Happening Online! In addition to our continued partnership with WAGM TV, we have now added an Online Only auction component. The Live TV Auction will be held on WAGM TV on Saturday, November 24th from 12pm-6pm. Pre-bidding for TV Auction items has begun on Gregg Auctions website. Bidding for these items will conclude during the Live TV Auction. Our Online Only items will be up for bid on Gregg Auctions website until December 2, 2018 @ 4:00pm. The PI Rotary has again team up with the PI Kiwanis Club to raise money for the Children's Advocacy Center. Funds will go to assisting the new facility in provide local services to children and families who are victims of sexual assault. 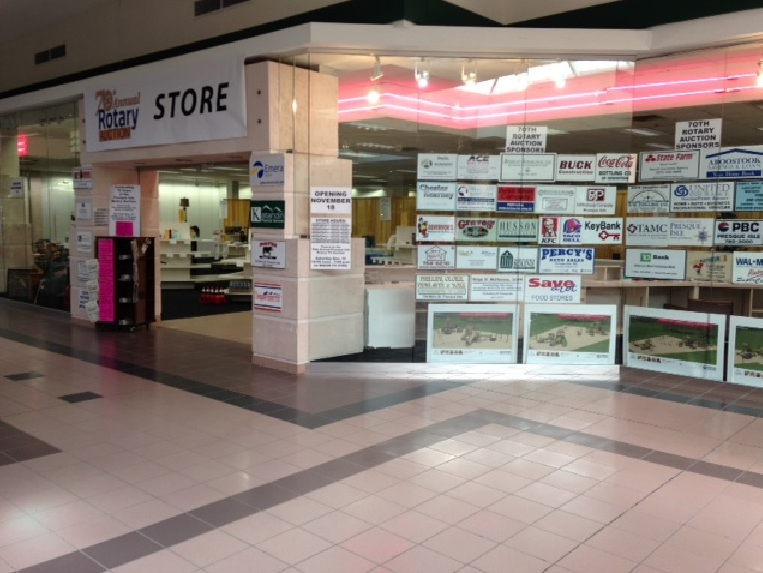 You can find links to Gregg Auctions website, the Auction Item Listing and our Store Hours on this page. For more information you can find us on Facebook or contact a PI Rotarian. 69th Annual Auction is a Wrap! The 69th Annual Auction is a Wrap! Big changes were made this year including 15-minute auction blocks, item display set, online streaming and a new set in the Red Room at the Northeastland Hotel. In total, $75,000 was raised to support local non-profit organizations.The Presque Isle Rotary Club also teamed with the Wintergreen Art Center for the second annual "Chair"ity Auction. In addition to all that action, this years Special Project was the Aroostook Youth Football Program where funds were raised for the construction of a new football field. 69th Annual Auction Begins in 2 weeks! 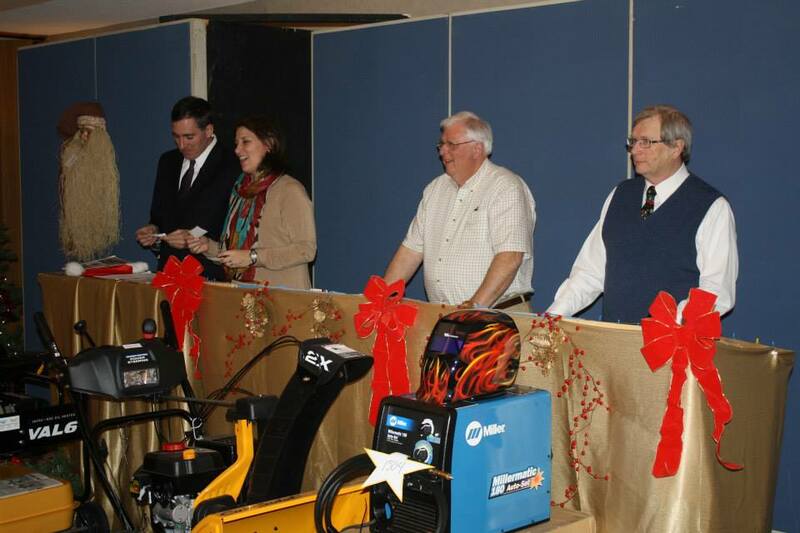 This years Rotary Auction is set to begin in just two weeks! Check out the Auction link to find out more information about the Auction or follow us on facebook. You can view the booklet, proceed partner vignettes, art items and much more! We have some very exciting changes planned for this years auction. Continue reading to learn more about this years auctions and a little more about those fun new changes! 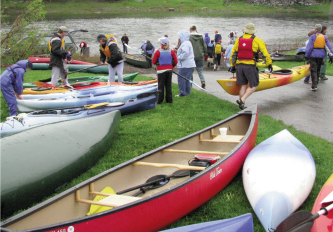 The 2016 Rotary District 7810 Conference will be held in Presque Isle this year on August 26 & 27. We are so happy to host Rotarian's and their families from all over Northern Maine and New Brunswick. The weekend will be filled with informational sessions, guest speakers, fellowship activities, and banquets. Click the link below to visit the District Conference website for more information and registrations forms. 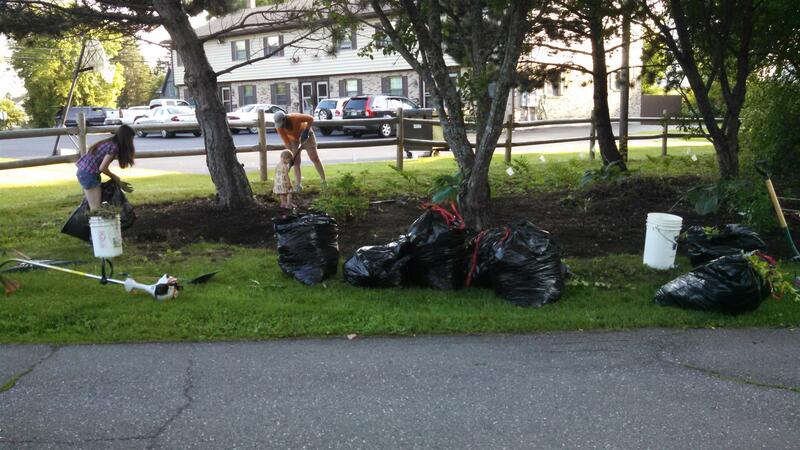 Presque Isle Rotary Club members recently completed the 3rd Annual Downing Park Cleanup. 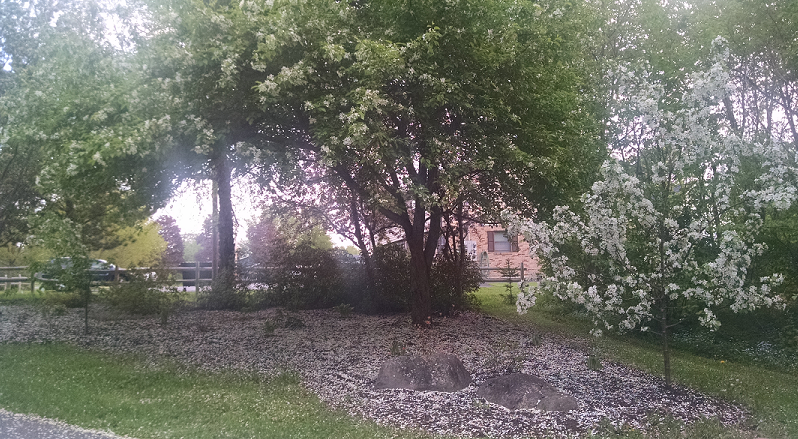 In 2014, the PI Rotary began assisting the Presque Isle Gardening Club with this effort. Rotarian's gathered to rake, weed and mulch the gardens along the bike path between State & Academy Streets-otherwise known as Downing Park. Pictured left to right: John DeFelice, Jim Bubar, Gina LeBlanc-Eggert & daughter Abigail, Floyd Rockholt, Clint Deschaine & daughter Reagen & Mandy Pooler Hall & daughter Brooke. The Presque Isle Rotary Club and the Presque Isle Kiwanis Club held a special joint meeting on March 22 at the Northeastland Hotel, welcoming U.S. Senator Susan M. Collins for an update on efforts underway in Washington, D.C. 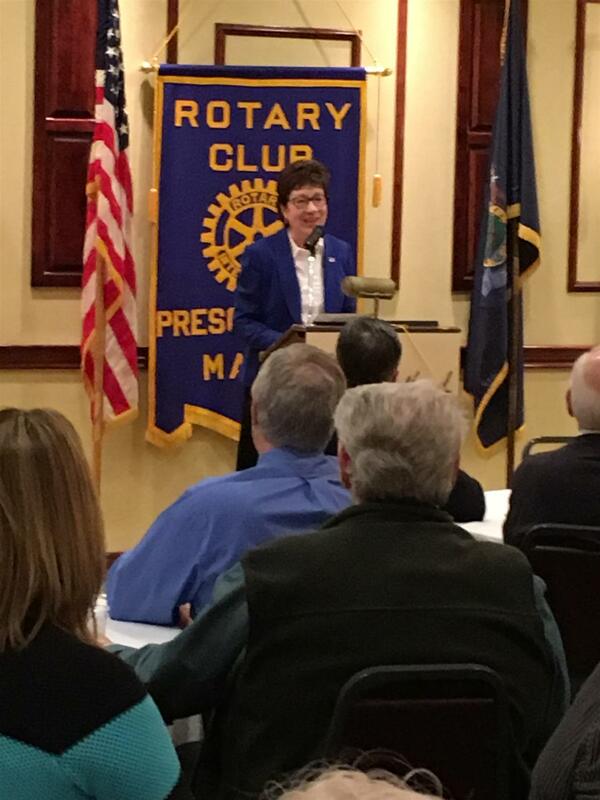 The Senator spoke before a packed audience about everything from efforts to prevent scams targeting senior citizens to work underway to support business growth in Aroostook County. 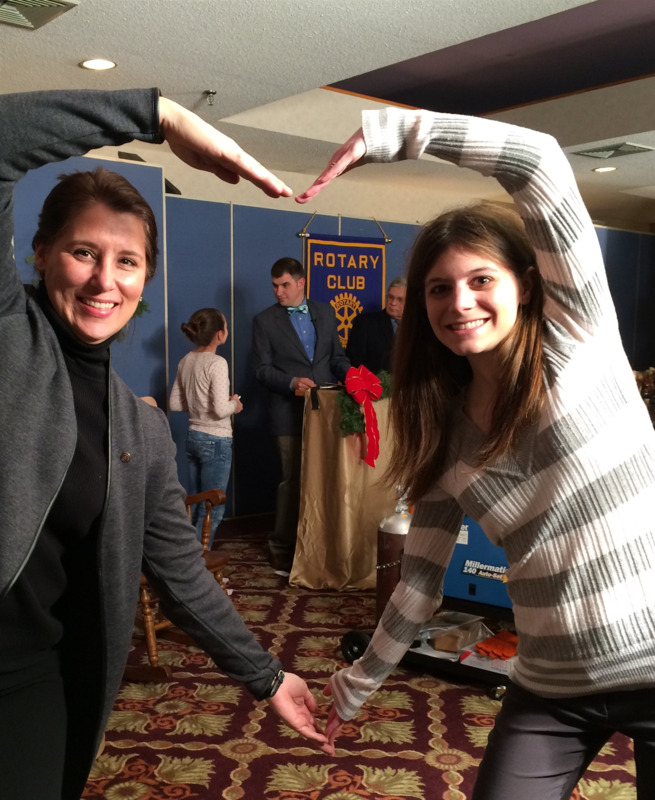 The Presque Isle Rotary Club is looking for its 2016 Auction Proceed Partners! Planning for the 69th Annual Rotary Auction is in full swing! We are looking to team with local non profit organizations to help fund their projects that will improve the lives of others. For more information and an application please click on the link entitled "2016 Auction Funds Request Packet" which can be found on the lower right hand corner of this webpage. The deadline for submitting an application is Friday March 25, 2016. Please contact Mandy Pooler-Hall or Jason Parent for more information. 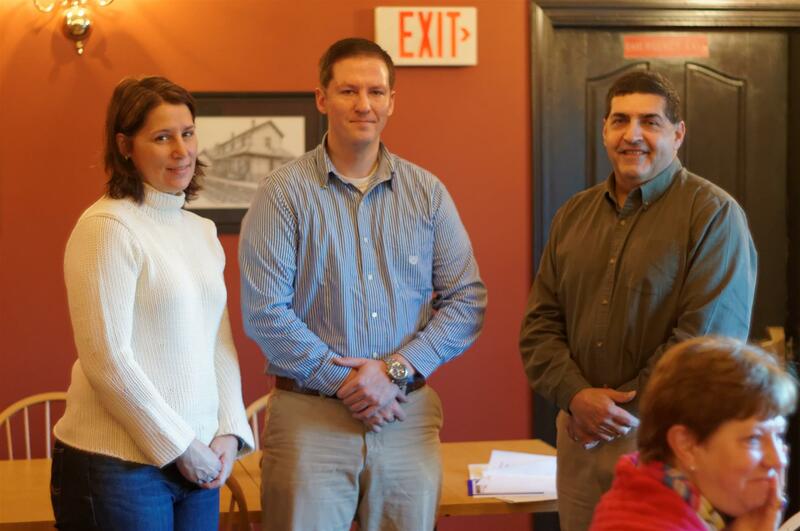 Several Aroostook County Rotarians traveled to Houlton on Dec. 21 to deliver a presentation about Project GIIVE 2017. Project GIIVE (Guatemalan Infrastructure Improvement Venture) is a joint effort among the Rotary Clubs of Caribou, Fort Fairfield, Limestone, Mars Hill, Presque Isle, Washburn, and Perth-Andover, New Brunswick that has been proposed to meet the needs of a village near the city of Monterrico, Guatemala, in cooperation with the Guatemalan Rotary Club La Ermita. The clubs are seeking a grant that would help to pay for eco-stoves, water filtration devices, and eco-toilets. 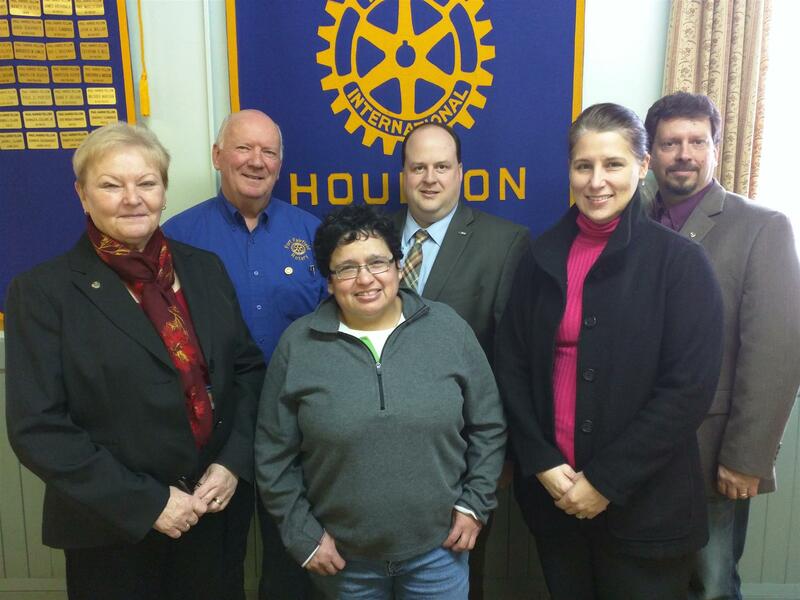 Pictured are, from left, Virginia Joles, Incoming District Governor; Carl Young, President, Fort Fairfield Club; Josie Lopez, member, Fort Fairfield Club; Matthew Nightingale, President, Houlton Club; Gina LeBlanc-Eggert, Vice President, Presque Isle Club; and Ed Wright, Foundation Chair, Mars Hill Club. The Presque Isle Rotary Club wrapped up its 68th annual Radio and TV Auction on a high note, raising more than $92,000 during the three-night event and doubling its $25,000 fundraising goal for its Special Project. 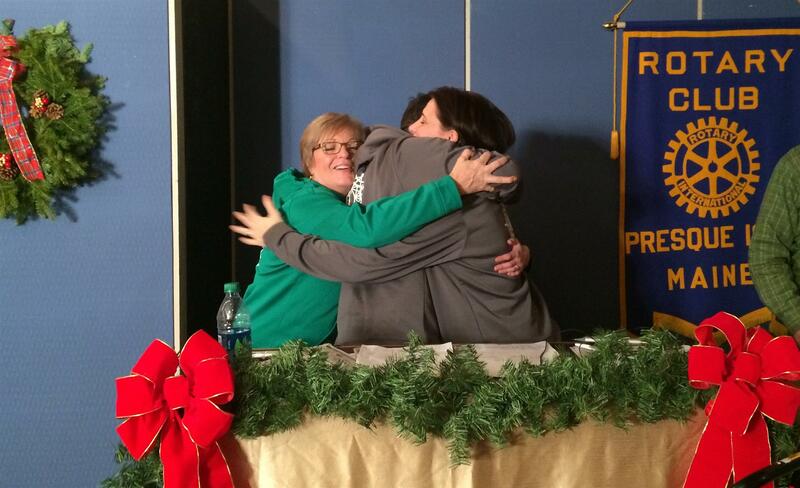 PI Rotary Club's 68th Annual Radio/TV Auction a Success! Auction co-chairs Gina LeBlanc-Eggert and Mandy Pooler-Hall, and all members of the Presque Isle Rotary Club would like to thank the community for an incredible 68th Annual Rotary Auction!! Not only we have an unprecedented year with the regular auction, raising more than $42,000 (including the CHAIR-ity effort we undertook with Wintergreen Arts Center), we raised $50,000 for this year's Special Project, Quoggy Jo Ski Center. To see details about this year's event, visit our Auction webpage or check out the photos on our facebook page. Read on for Store Room hours. 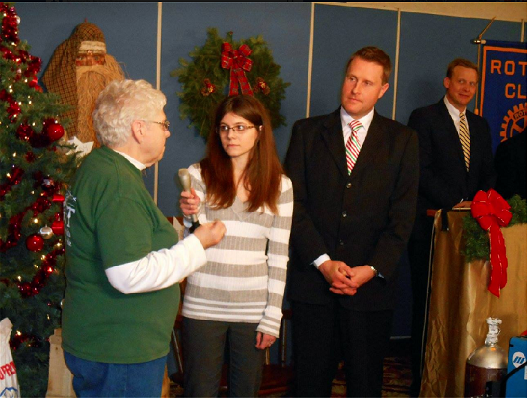 The Presque Isle Rotary Club is gearing up for its 68th annual Radio and TV Auction, which will be held on Tuesday, Dec.1, Wednesday, Dec. 2, and Thursday, Dec. 3, 2015, and broadcast live from the Northeastland Hotel. Co-Chairs Gina LeBlanc-Eggert and Mandy Pooler-Hall and more than 100 Presque Isle Rotarians are hard at work preparing for this year’s auction, which will benefit seven non-profit organizations in the region, as well as raise funds for this year’s special project, Quoggy Jo Ski Center. With the help of the Rotary Clubs in Caribou, Fort Fairfield, Limestone, Mars Hill and Washburn, the University of Maine at Presque Isle and the Presque Isle Rotary Club are declaring their 4th annual World Polio Day and Purple Pinkie Project celebration—which spread throughout central Aroostook County and was held between Oct. 17 and 25—a big success. 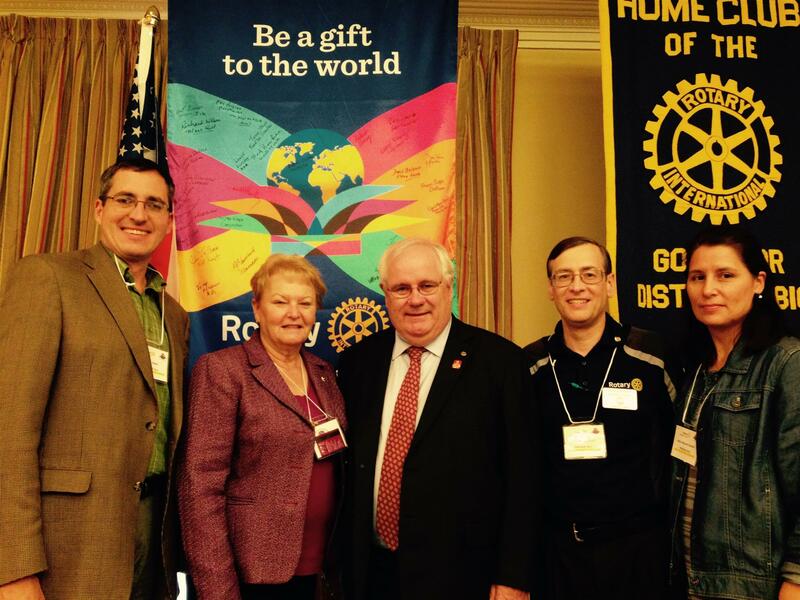 All activities helped to raise awareness of Rotary International’s efforts to eradicate polio worldwide. 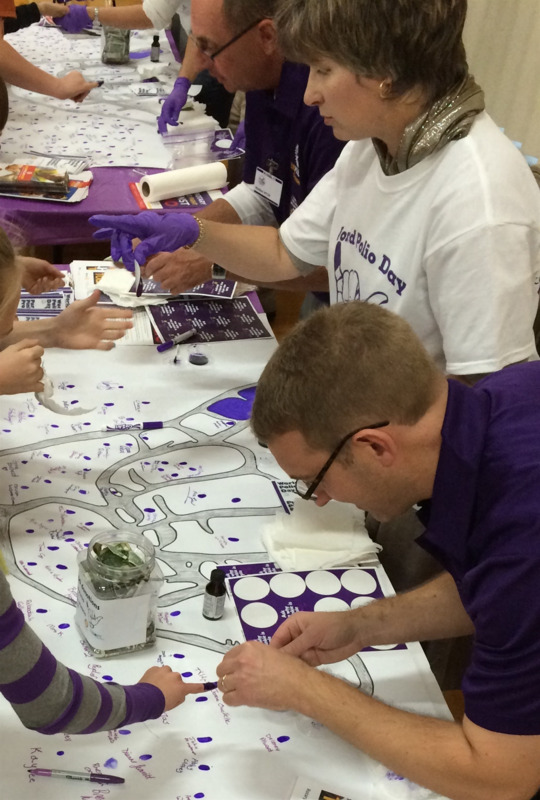 Combined efforts among the clubs helped to raise $2,600 for that global effort. 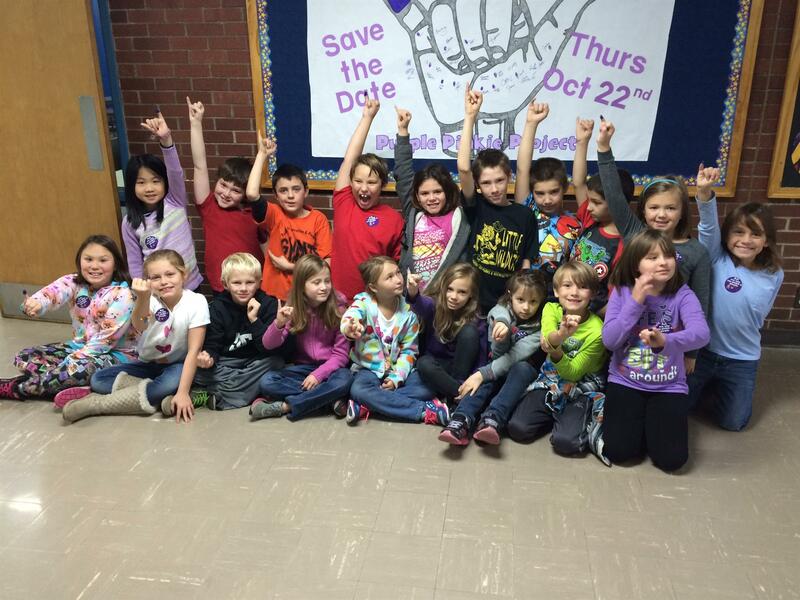 The Presque Isle Rotary Club and the University of Maine at Presque Isle are joining forces to host their Fourth Annual World Polio Day and Purple Pinkie Project celebration and this year, with the help of the Rotary Clubs in Caribou, Fort Fairfield, Limestone, Mars Hill and Washburn, the celebration will once again spread throughout central Aroostook County. A slate of activities will take place between Oct. 17 and Oct. 25 to celebrate World Polio Day, which takes place Oct. 23. All activities are meant to raise awareness of Rotary International’s efforts to eradicate polio worldwide and to raise money -- $1 at a time – to go toward that global effort. The Presque Isle Rotary Club was pleased to honor eight individuals during its Paul Harris Recognition Evening, held on Thursday, Sept. 17 at the University of Maine at Presque Isle’s Center for Innovative Learning. Honorees for the evening included Luther J. “Jim” Bubar, Jr., Dr. Donald Cassidy, Jr., Gregg Collins, Christopher Condon, Nancy Fletcher, Larry LaPlante, Charles Violette, and Dottie Wheeler. Presque Isle Rotary Club members were in attendance at this year's District Conference, which took place in Moncton, New Brunswick, on Sept. 11-13. Keynote speaker for this year's conference was Mike K. McGovern, past Vice Chair of the Rotary Foundation and current Chairman of the International Polio Plus Committee, is a member of the Rotary Club of South Portland-Cape Elizabeth, and has traveled extensively for the eradication of polio. 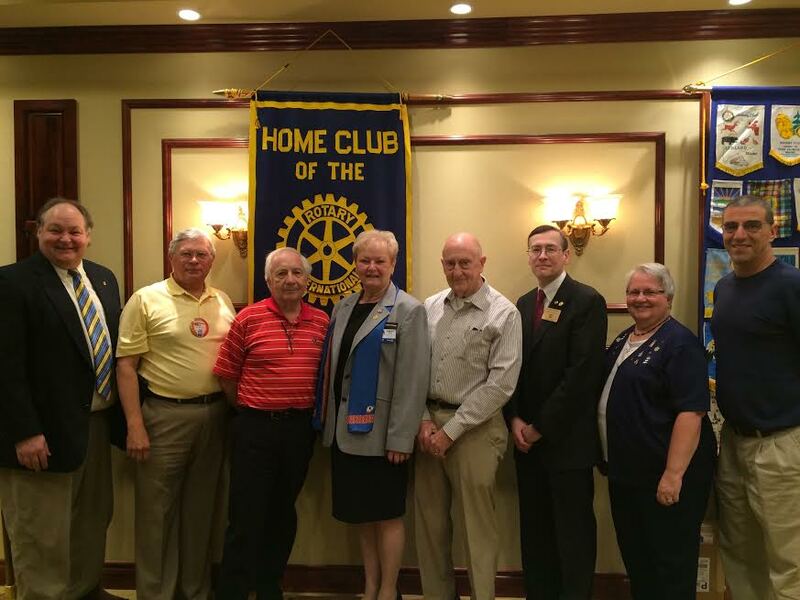 Pictured above with McGovern (center) are, from left, Presque Isle Rotary Club President Frank Bemis, District Governor Elect Ginny Joles, Presque Isle Rotary Club Treasurer and Assistant District Governor Floyd Rockholt, and Presque Isle Rotary Club President Elect Gina LeBlanc-Eggert. Also during the conference, the Presque Isle club received a District Governor's Citation for the work it has done during its past two Rotary Auctions to raise thousands of dollars in funds for two Special Projects, the Aroostook House of Comfort and the Presque Isle Community Center. Above, Presque Isle Rotary Club President Frank Bemis receives the citation from Mike Walsh, Director Shelter Box Canada Board and Past District Governor. The Presque Isle Rotary Club recently honored Ed and Barbara Hews with Paul Harris Fellow awards, one of the most prestigious awards in Rotary. The couple, who have been married for (70) years, received their awards for a lifetime of service to their community and their many contributions to the club. Pausing for a photo after the recognition presentation are, from left, front row, past Presque Isle Rotary Club President Mike MacPherson; Debi Hews; Jane Lockhart; Paul Harris Award recipients Ed and Barbara Hews, and Presque Isle Rotary Club President Elect Gina LeBlanc-Eggert; back row, Mark Hews; Jay Lockhart; and Suzanne and Ray Hews (son of Ed Hews and also a past President of the Presque Isle Rotary Club). During its July 6 meeting, the Presque Isle Rotary Club installed new officers and set its board of directors for 2015-2016. The Club was also pleased to host Wayne Wornes, the new District Governor for Rotary District 7810, and his wife Sylvie Wornes during the meeting. 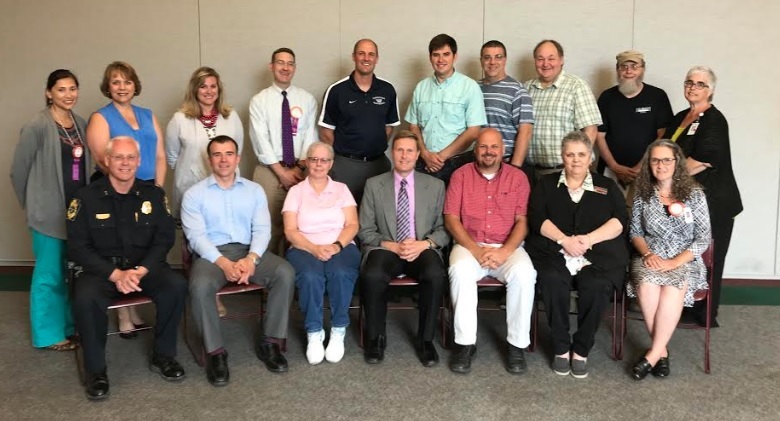 Pictured are, from left, front row: Wayne Wornes, Jennifer Flynn, Secretary; outgoing President Scott Violette; incoming President Frank Bemis; President Elect Gina LeBlanc-Eggert; Amanda Hall, 2nd Vice President, and daughter Brooke; and Sylvie Wornes; back row: District Governor Elect Ginny Joles; Floyd Rockholt, Treasurer and Assistant District Governor; board members Rachel Rice, Leigh Smith and Derik Smith; Adam Bither, Sergeant at Arms; board member Jason Parent; Tony Phillips, Assistant Treasurer; board member Matt Irwin; and Theresa Fowler, Assistant Secretary. Not pictured were board members Sharon Campbell, Rick Duncan, Sue Bernard, and Toby Plummer. Below, Outgoing Presque Isle Rotary Club President Scott Violette congratulates incoming Presque Isle Rotary Club President Frank Bemis as he begins his term for 2015-2016. Behind them is a banner with the theme Rotary International President K.R. Ravindran has chosen for 2015-2016: Be a Gift to the World. Ravindran is urging Rotary members to give the gifts of time, talent, and knowledge to improve lives in communities across the globe. The Presque Isle Rotary Club is pleased to welcome two new members--Jordyn Madore, Aroostook Aspirations Initiative Internship Coordinator (pictured above, at right, with Past President Sharon Campbell) and Clint Deschene, SAD1 Assistant Superintendent for Business (pictured below, at right, with President Scott Violette. 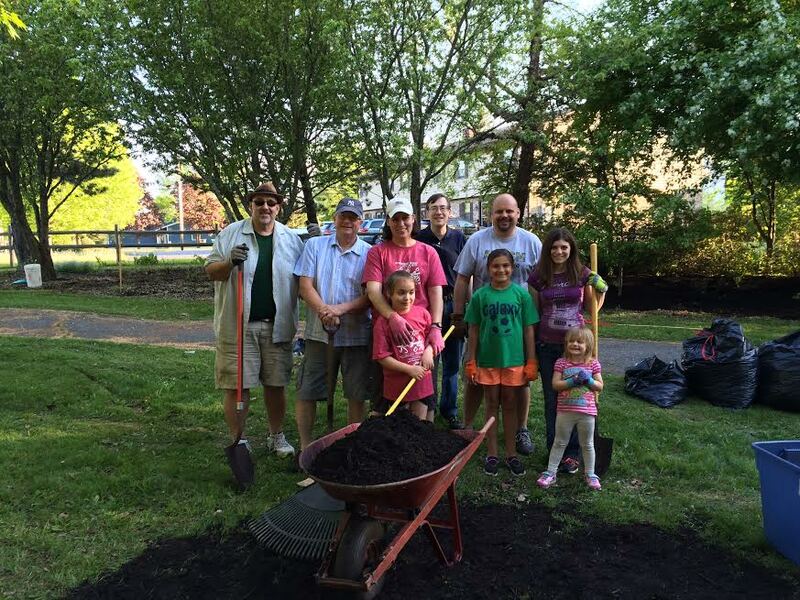 Presque Isle Rotary Club members teamed up to clean up Downing Park in Presque Isle. 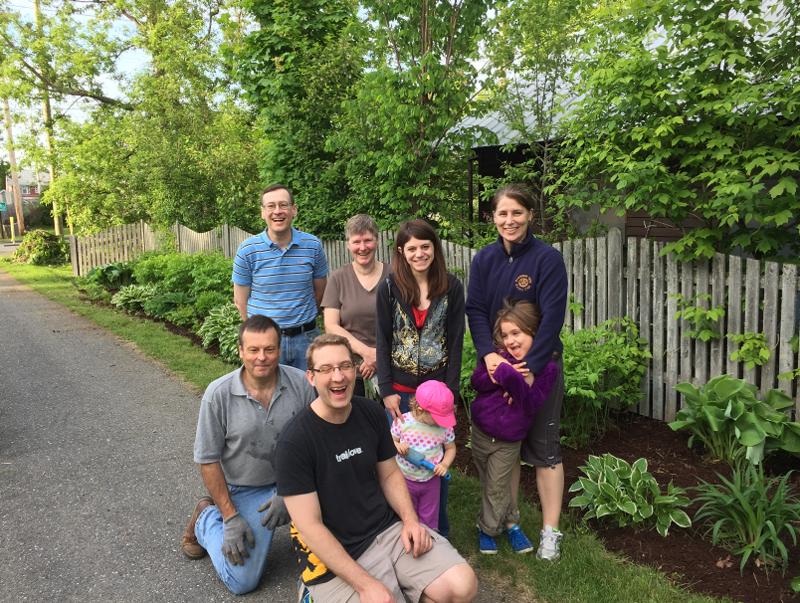 Members raked, weeded, and mulched the gardens along the bike path between State Street and Academy Street over the last few weeks. Pictured are, from left, front row: Don Samiya, Martin Puckett, Brooklyn Hall, and Abigail Eggert; back row: Floyd Rockholt, Lori Samiya, Mandy Pooler-Hall, and Gina LeBlanc-Eggert. 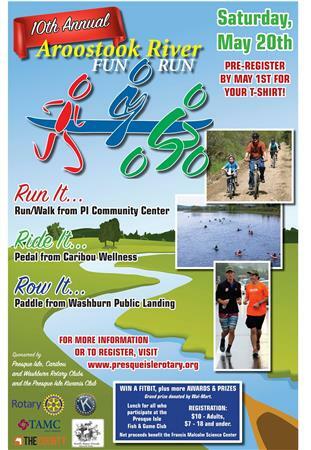 The Presque Isle Rotary Club invites you to register for the 2015 Aroostook River Fun Run! The race will be held on Saturday May 16th, with a 10:00 am start time. Registration 8-9:30 a.m. at Washburn’s Thomas Brewer Park. Award Ceremony and BBQ Lunch to follow at the conclusion of the race at the Presque Isle Fish & Game Club. A link to the Registration Form can be found under "Home Page Download Files" on right side of this page. 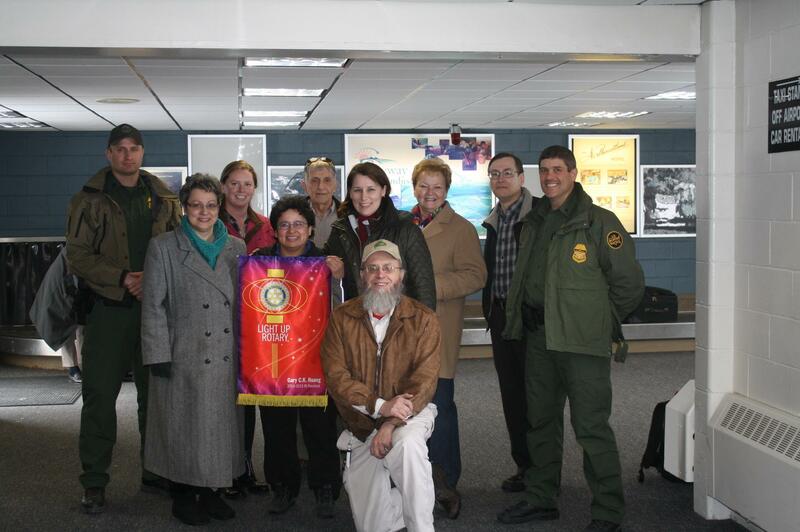 Josefina (Josie) Lopez, Fort Fairfield Rotary Club member, recently traveled to Guatemala, Central America, to take part in a Rotary World Service Project (WSP). Lopez joined fellow Rotarians from Duluth, Minnesota, in building a multipurpose room and sports court at the La Curvina School in Monterrico, Guatemala. The Rotarians also provided the local population with over 450 toothbrushes and toothpaste tubes, a portion of which were donated by local dentist, and Presque Isle Rotarian, Dr. Donald Cassidy. The Presque Isle Rotary Club is in the planning phase for the 68th Annual Rotary Auction, to raise funds for local charities and non-profit organizations. This year, the Auction will be held Tuesday through Thursday, December 1st, 2nd, and 3rd, 2015. 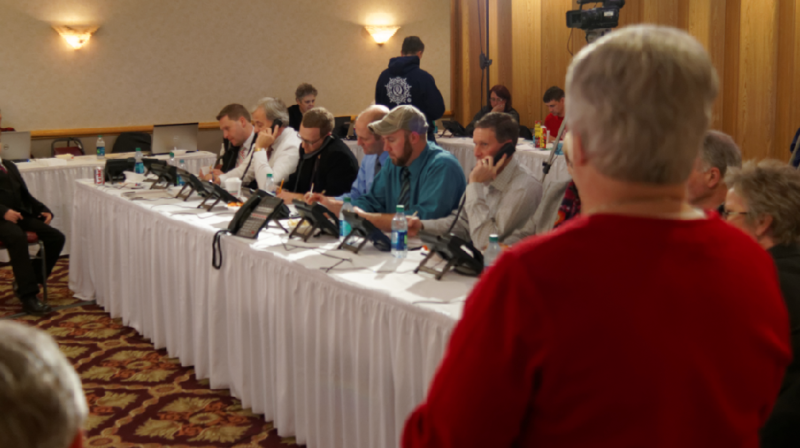 The Presque Isle Rotary Club wrapped up its 67th annual Radio and TV Auction on a high note, raising more than $410,000 during the three-night event and surpassing its $25,000 fundraising goal for its special project—by more than $300,000. Welcome to our newest Rotarian, Jan Lucas! The Presque Isle Rotary Club recently inducted its newest member—Jan Lucas, event coordinator at the Hampton Inn in Presque Isle, during its regular meeting on Dec. 15. 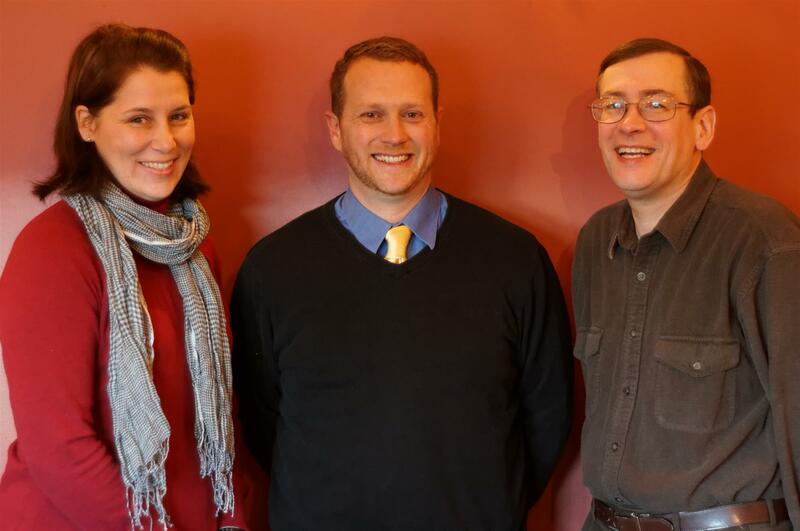 Pictured are, from left, Past President Jane Towle, Lucas, and President Scott Violette. The Presque Isle Rotary Club recently inducted its newest member—Daryl Boucher, TAMC Director of Emergency and Critical Care Services, during its regular meeting on Dec. 1. Pictured are, from left, Past President Joy Barresi Saucier, Boucher, and President Scott Violette. The Presque Isle Rotary Club held its 9th annual Thesaurus Project, this year donating nearly 200 age-appropriate thesauruses to 3rd grade students in Ashland, Easton, Mapleton, and Presque Isle. The Club started this project as a way to promote literacy efforts and to raise awareness of Rotary in the local community. 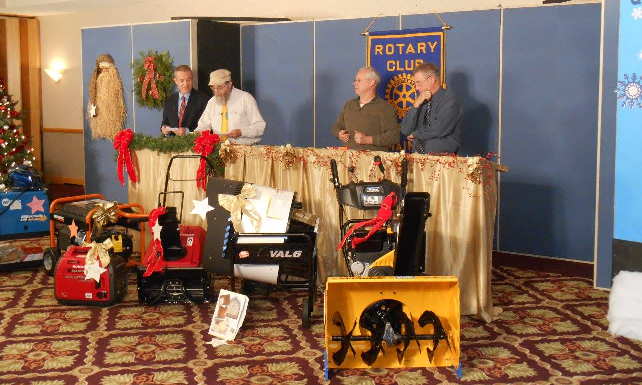 The Presque Isle Rotary Club is proud to announce that its 67th Annual TV and Radio Auction is officially underway! To get details on all the action--including our live stream, a PDF of our auction booklet, recipient videos, and information about our Special Project and Art Auction--please click the Auction link at the top of the page or click here. 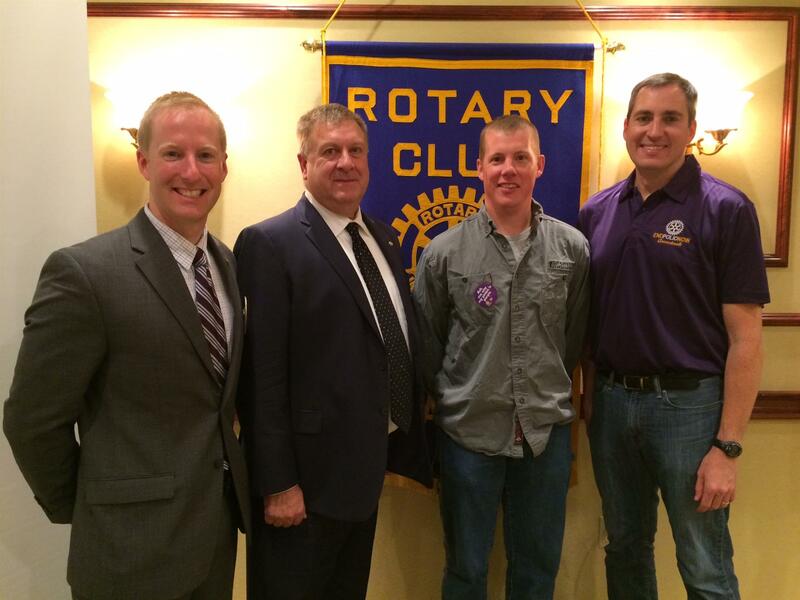 Welcome to our newest Rotarian, Jason House! The Presque Isle Rotary Club recently inducted its newest member—Jason House, a commercial lender with TD Bank, during its regular meeting on Nov. 17. Pictured are, from left, Past President Mike Kelley, House, and President Scott Violette. 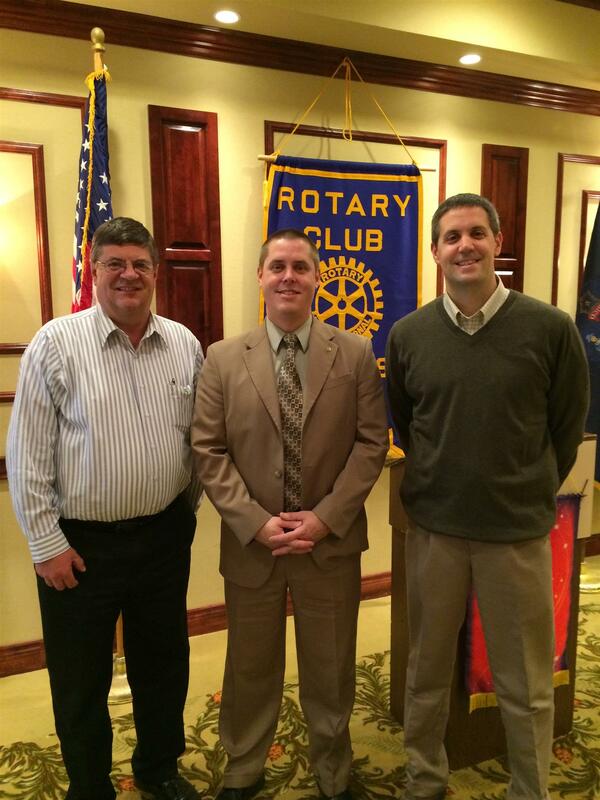 Welcome to new Rotarians, Chris Dare and Paul Howlett! The Presque Isle Rotary Club is pleased to welcome two new members—Chris Dare, a local pastor (pictured above with Past President Mike MacPherson and President Scott Violette) and Paul Howlett, a local clergyman (pictured below with 2nd Vice President Gina LeBlanc-Eggert and Past President Floyd Rockholt). The Presque Isle Rotary Club is pleased to welcome five new members: Dr. Larry Feinstein, University of Maine at Presque Isle Assistant Professor of Biology; Dennis Koch, UMPI Director of Residence Life; Ben Greenlaw, Principal of Presque Isle High School; Mark White, PIHS Athletic Director (White, Greenlaw, Koch and Feinstein are pictured above with President Scott Violette); and Shawn Berube, of the local Social Security Administration office (pictured below with 2nd Vice President Gina Eggert-Leblanc and Past President Tony Sullivan). Help us to END POLIO NOW! 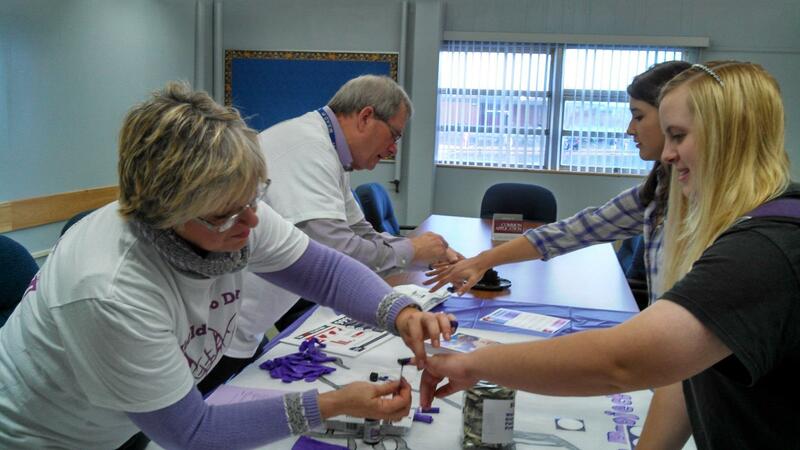 The Presque Isle Rotary Club and the University of Maine at Presque Isle are joining forces to host their Third Annual World Polio Day and Purple Pinkie Project celebration and this year, with the help of the Rotary Clubs in Caribou, Fort Fairfield, Limestone and Washburn, the celebration is going to spread throughout central Aroostook County. A slate of activities will take place between Oct. 18 and Oct. 26 to celebrate World Polio Day, which takes place Oct. 24. All activities are meant to raise awareness of Rotary International’s efforts to eradicate polio worldwide and to raise money -- $1 at a time – to go toward that global effort. 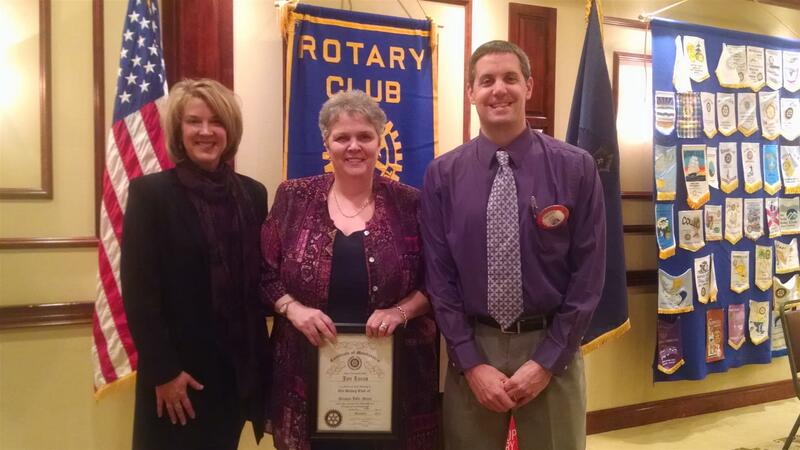 Welcome to our newest Rotarian, Janet Marr! 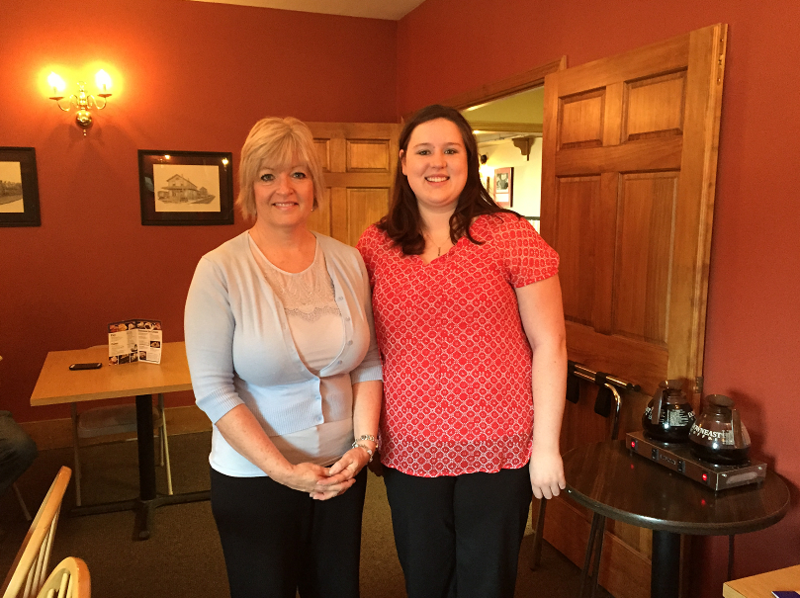 The Presque Isle Rotary Club is pleased to welcome Janet Marr, of Maine Benefits Group, to the club. Norman is 89 years old. He's played golf every day since his retirement over 20 years ago. One day he arrives home upset. "That's it," he tells his wife. "I'm giving up golf. My eyesight is so bad that once I hit the ball I can't see where the dang thing goes." His wife sympathises and makes him a hot cup of tea. As they sit down she says, "Why don't you take my brother with you and give it one last try." "That's a terrible idea" says Norman, "your brother's 102 years old. How could he help?" "He may be 102 years old", says the wife, "but his eyesight is perfect." Norman figured he'd give it a try So the next day he heads off to the golf course with his brother-in-law. He tees up, takes a mighty swing and squints down the fairway. "Where did it go?" says Norman. 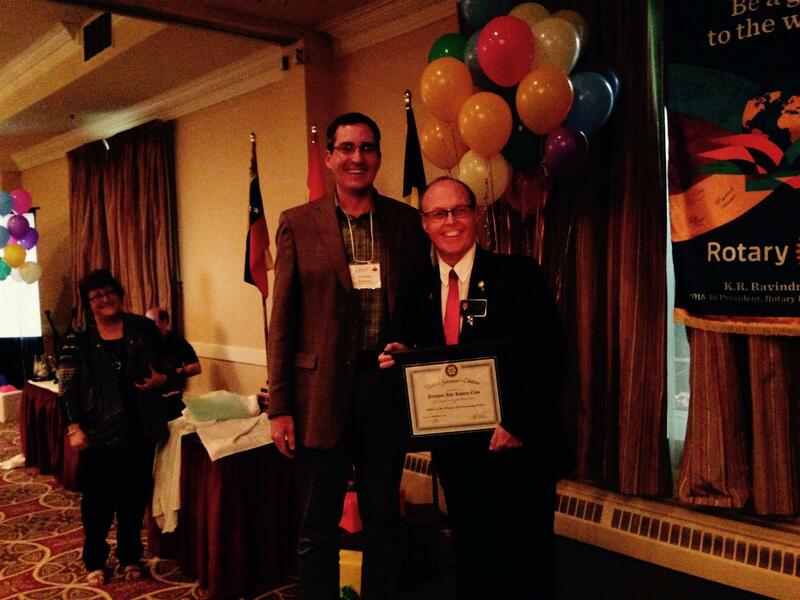 It's an exciting time to be a Rotarian! And it will never be more exciting in 2014 than in Moncton between September 18th and 21st at the District 7810 Annual Conference as we Light Up Rotary! District Governor Elect Mike Walsh, his wife Francine Fournier- Walsh, Conference Chair Wayne Wornes and all the Clubs in South-Eastern New Brunswick extend a warm invitation to come to this years Conference. We have a jam packed and fun agenda, including a return of Casino Night and a concurrent Rotary Youth Conference as well. We have thought of everything, even babysitting, if you want to bring the whole family to Moncton to enjoy all we have to offer! So check out our site and register as soon as you can! A couple were Christmas shopping. The shopping center was packed , and as the wife walked through one of the malls she was surprised when she looked around to find that her husband was nowhere to be seen. She was quite upset because they had a lot to do and she became so worried that she called him on her mobile phone to ask him where he was. He replied, "Well, I'm in the bar next door." Members of the Presque Isle Rotary Club have partnered with the Presque Isle Garden Club to help clean up and beautify Downing Park in Presque Isle.